Microsoft Lumia 640 XL LTE Dual SIM does not support Boost Mobile GSM / HSPA / LTE at this time. Microsoft Lumia 640 XL LTE Dual SIM does not support Boost Mobile CDMA. Microsoft Lumia 640 XL LTE Dual SIM does not support Boost Mobile 4G LTE. Sorry, but it does not look like Microsoft Lumia 640 XL LTE Dual SIM will work on Boost Mobile. But please note that the compatibility of Microsoft Lumia 640 XL LTE Dual SIM with Boost Mobile, or the Boost Mobile network support on Microsoft Lumia 640 XL LTE Dual SIM we have explained here is only a technical specification match between Microsoft Lumia 640 XL LTE Dual SIM and Boost Mobile network. Even Microsoft Lumia 640 XL LTE Dual SIM is listed as not compatible here, still Boost Mobile network can allow (rarely) Microsoft Lumia 640 XL LTE Dual SIM in their network with special agreements made between Boost Mobile and Microsoft. Therefore, this only explains if the commonly available versions of Microsoft Lumia 640 XL LTE Dual SIM will work properly on Boost Mobile or not, if so in which bands Microsoft Lumia 640 XL LTE Dual SIM will work on Boost Mobile and the network performance between Boost Mobile and Microsoft Lumia 640 XL LTE Dual SIM. To check if Microsoft Lumia 640 XL LTE Dual SIM is really allowed in Boost Mobile network please contact Boost Mobile support. 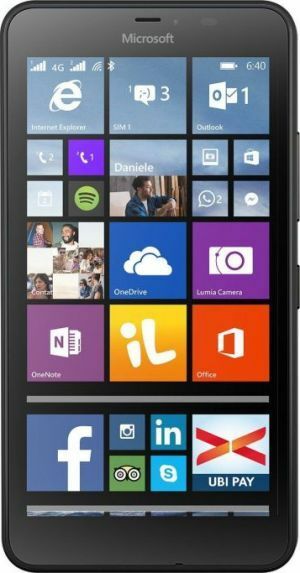 Do not use this website to decide to buy Microsoft Lumia 640 XL LTE Dual SIM to use on Boost Mobile.